Police in Port St. Lucie are looking for a missing and endangered teen. 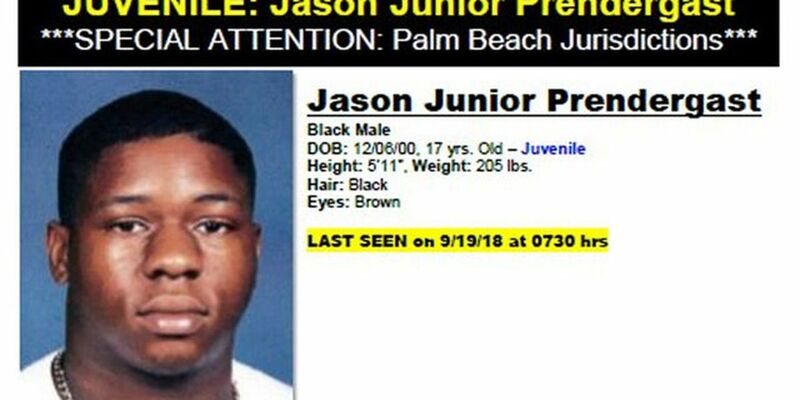 Jason Junior Prendergast, 17, was last seen on Wednesday, Sept. 19, 2018 at 7:30 a.m. He was reported missing that morning and has not yet been located. Prendergast is described as a black male, standing 5 feet 11 inches tall, weighing 205 pounds with black hair and brown eyes. If you have information on his whereabouts, contact Detective A. Maloveczky at 772-871-5059. You can also make an anonymous tip through Treasure Coast Crime Stoppers at 800-273-TIPS (8477).